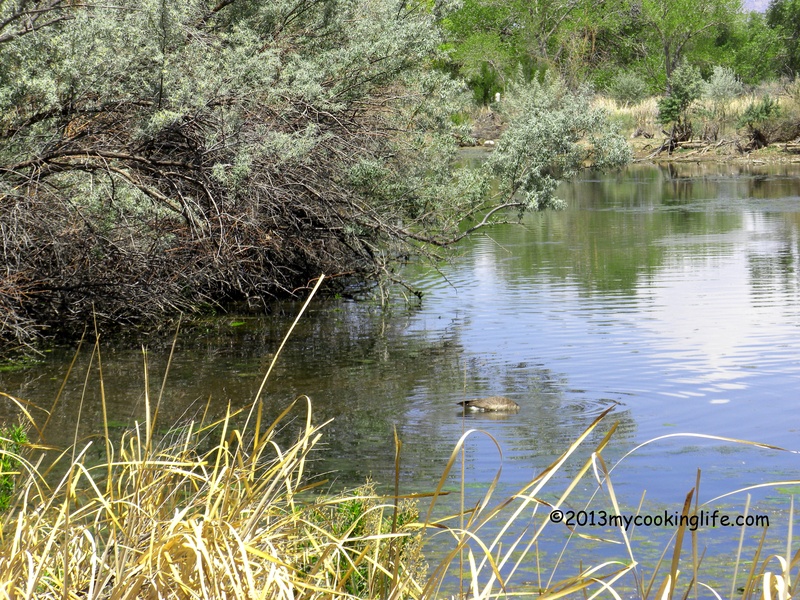 The Rio Grande runs through our state on its way to the Gulf and there is plenty of bosque area to explore. 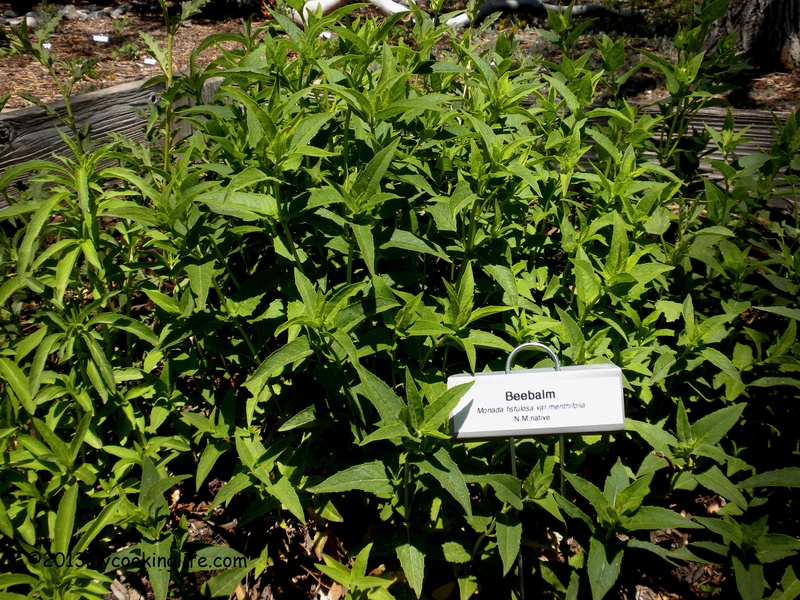 We recently visited the Rio Grande Nature Center State Park where they were featuring an Herbfest! We saw examples of many herbs native to New Mexico plus numerous flowering cacti. There were vendors, potted herbs for sale, and musical performances. There were trails both along the Rio Grande and through other parts of the bosque which were mostly well-marked but we found it very easy to get off the trail onto some other path and no doubt you could walk around on those paths for hours on end. And that was okay with us for a little while! See the branches with the sage green leaves? 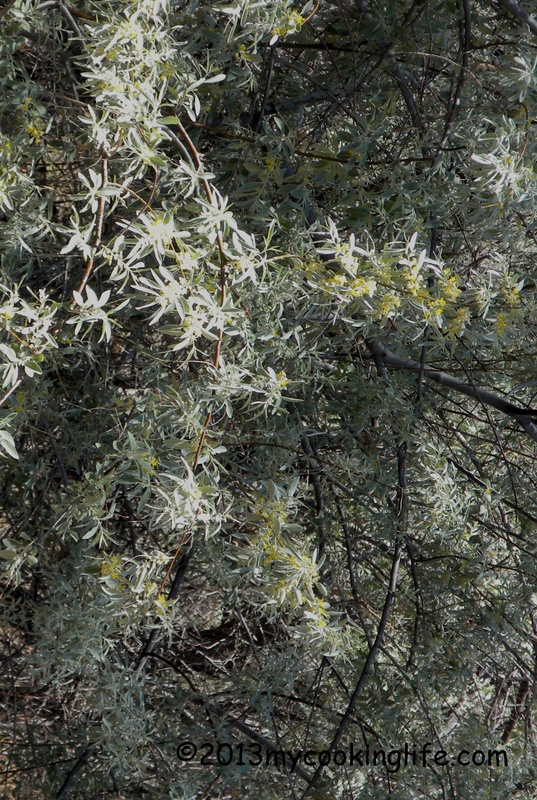 Those are Russion Olive trees and they have the most enchanting aroma! Around here you can smell them for at least a month. We love that smell! Russion Olive trees close up. See the little yellow blossoms? I saw a sign near a vendor’s table that said “Solar Ovens” so of course I had to check that out right away. 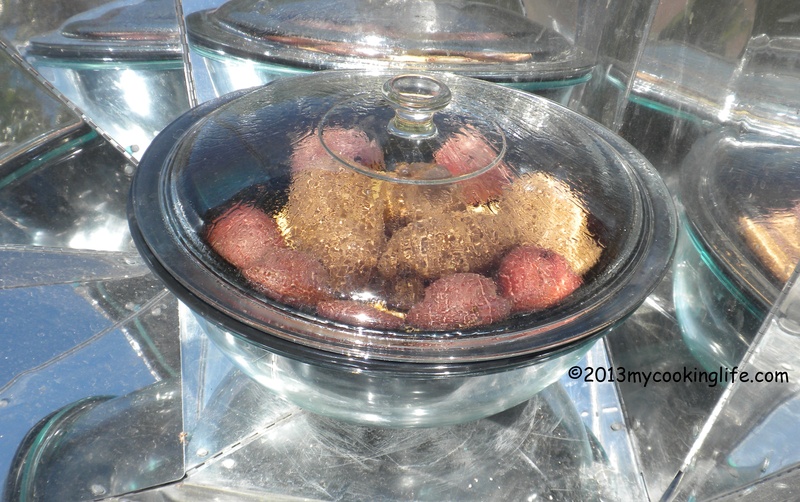 The solar oven was made of hinged pieces of reflective metal and can heat up to about 310 degrees. The inventors said they can make bread, pizza, roasts and all kinds of things. Here they are cooking potatoes. Unfortunately I can’t find their business card with their contact information on it, but there are lots of solar ovens on the Internet and you can find instructions on how to make one, too. 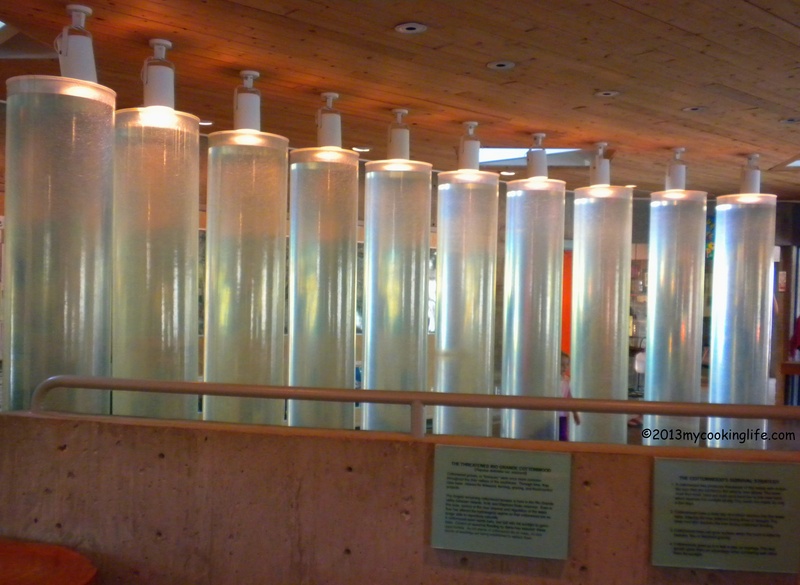 Speaking of solar, these big columns of water inside the Nature Center Educational Building create passive heat for this building in winter time when the sun shines on them. When I saw there was going to be an Herbfest at the Nature Center, I was hoping that my favorite herbal salve people would be there, Sweetwater Herbals, from Jemez Pueblo. Jemez Pueblo is about an hour north of Albuquerque in the middle of the Santa Fe National Forest and has legendary hot springs baths. I’ll be sure to show you when I go there. Sweetwater was at the Herbfest and they had “Relax” salve that I was looking for. Great for tense muscles and even helps relieves muscle cramping. It also has a wonderful aroma! I appreciate that it is local to my area. This is a selection of Sweetwater Herbals salves and body oils. Next weekend they will be at the Celtic Festival and the weekend after that at a Wine Festival– both at Balloon Fiesta Park. If you visit their booth, you can get a free neck massage! I think a place starts feeling like home when you are out and about and actually run into people you know. We’ve only been in New Mexico about 3 1/2 years and we are getting to know folks. Ran into artist and friend Michele Hardy at the Nature Center! Michele makes a lot of beaded jewelry and her work is unique—not the same thing you see everywhere around here. But you know me, I was drawn to the little pots and especially the little beaded ear of corn in the bowl! 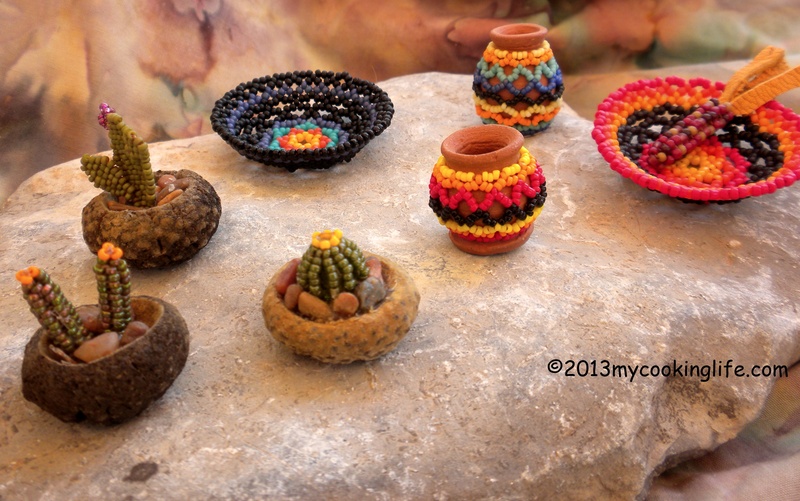 Michele also works with gourds and she will accept custom orders and she teaches lessons. She gives her email address as her contact: hardyboys3@q.com. 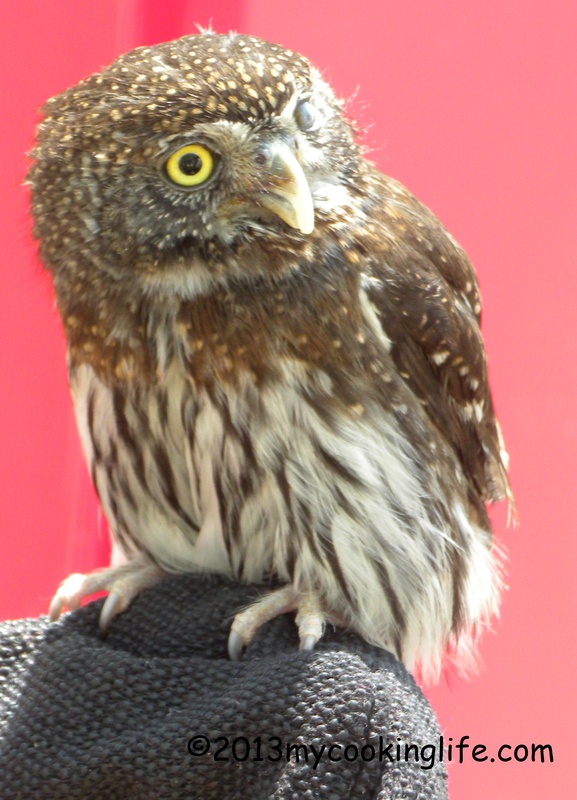 The Rio Grande Nature Center is also the home of Wildlife Rescue Inc. where orphaned or injured wildlife is reared or restored to health and then returned to the wild. The volunteer staff take care of about 2,000 wild birds and mammals every year. 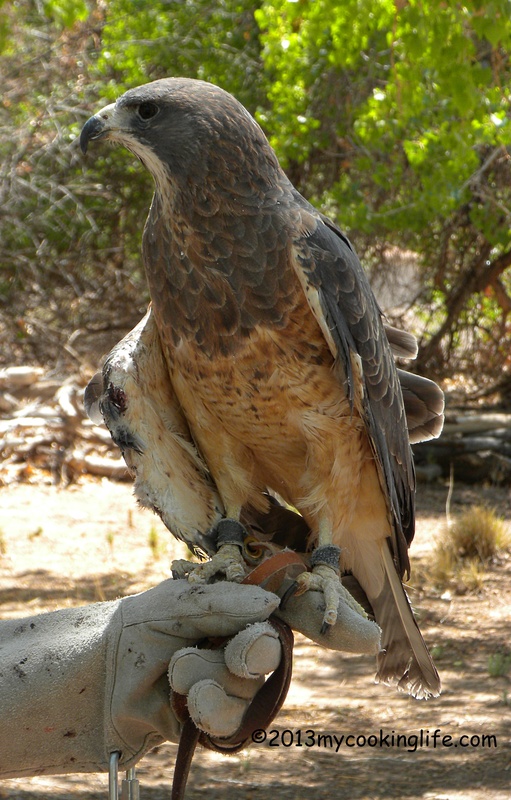 This is a Swainson’s Hawk. He is wild but didn’t seem to mind people and cameras. The volunteer told me they do not name the animals because they maintain the intention that their charges remain completely wild. Hey little cutie! Look over here! How in the world do you turn your head around like that? 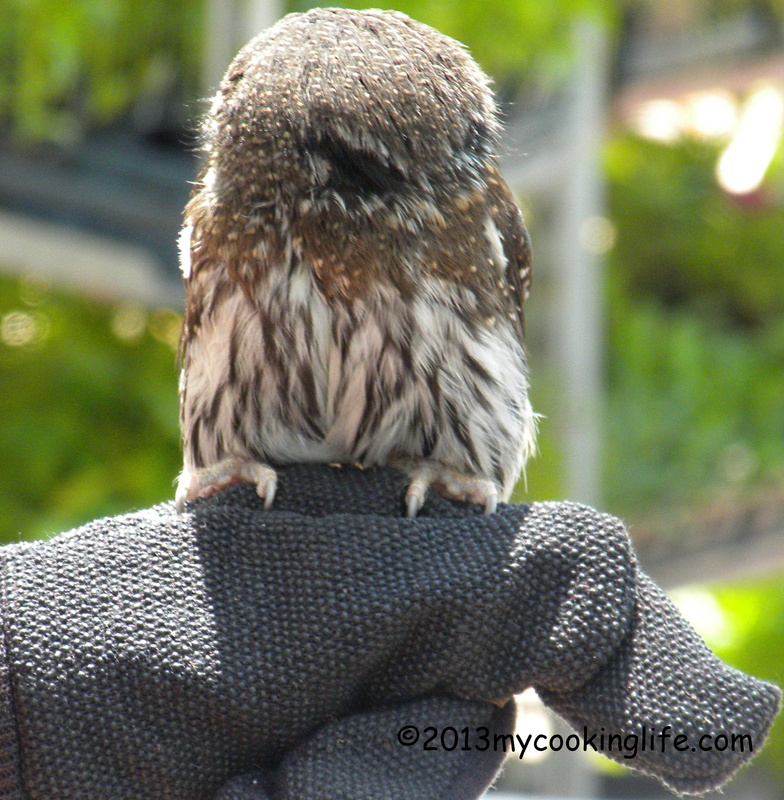 Hello there, Little Owl! He only has one good eye. It was a lovely New Mexican day! This entry was posted in New Mexico, Places to visit in New Mexico and tagged Albuquerque New Mexico, bosque, native herbs of New Mexico, places to visit in New Mexico, Rio Grande, Rio Grande Nature Center State Park by mycookinglifebypatty. Bookmark the permalink. I’ve been to New Mexicao several times and loved it. Bought some great art work there also. Yes, it is a haven for artists and native culture. Thanks, Jovina!